The WWE SummerSlam 2018 pay-per-view is presented by Monday Night Raw and SmackDown Live and scheduled for August 19, 2018 at the Barclays Center in Brooklyn, New York. Follow along here for spoilers and information on the event's card, lineup of matches and news regarding the pay-per-view. The following are my predictions for the 2018 WWE SummerSlam PPV. Check back for SummerSlam 2018 results and review coverage here when the time comes..
1) Lesnar losing because of a cash-in, especially if he's not the one who gets pinned. He needs to just LOSE the title. 2) Lesnar losing because he already wrestled a match and it's unfair to have two in a row. Again, the whole point of him winning against The Undertaker and beating everybody for years was to set up someone to beat him, and nobody has. WWE can't just protect Lesnar forever, because then he never put anybody over!!! 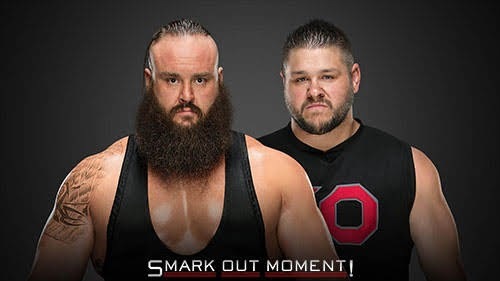 3) Braun Strowman or Kevin Owens cashing in and losing. 5) Setting up any kind of Roman Reigns vs. Braun Strowman feud to come. They've had enough matches. 6) Having Owens cash-in and interrupt the match, in any fashion, or pick the bones of Reigns and then have a Hell in a Cell match with him. What I do want is to go back in time and prevent Goldberg from winning the title and for any of this to have happened. PREDICTION: I can't imagine loving anything they do. I'll just say that. This was an obvious direction at Money in the Bank, and it's now official. Bliss stands no chance. PREDICTION: Ronda Rousey takes the title. If Kevin Owens wins, no matter how, he takes Braun Strowman's briefcase. I LOVE this idea. This is such a great way to book these two after what happened at Extreme Rules. Absolutely love it. I also love that I don't know where they're going, as they could definitely have Owens win this and then cash in for the Universal Championship later on in the evening. 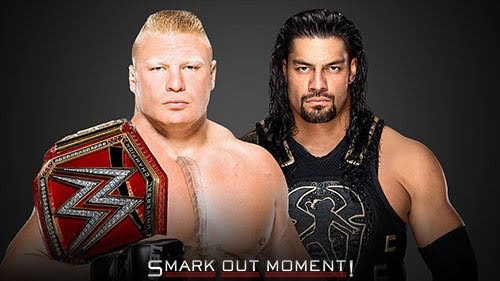 VERY smart move to book this match. I will say, though, that I really, really, really don't want to see Owens win the title (as much as I like him) because it will undercut the Lesnar/Reigns stuff, and if WWE doesn't just make that a true finish and stop it, I'll be pissed. I don't want Owens to be used to muddy that. PREDICTION: Kevin Owens wins the briefcase and I'll be nervous and eventually pissed even though I'll also be happy that he's the champion. Awesome. 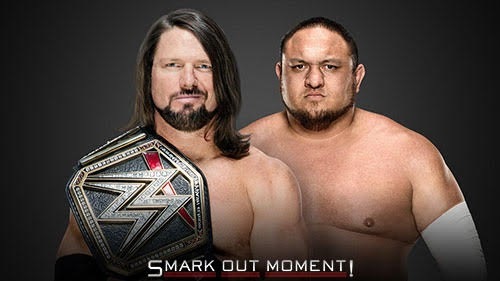 This match was the one I was hoping would happen, and the only two things that I would have been happier to see would have been The Undertaker or Shawn Michaels against AJ Styles. I'm hoping this is the time Samoa Joe wins the championship and actually gets to boost his credibility for the main roster, as he's not had a chance to do that yet. PREDICTION: Samoa Joe wins the title. Becky wins the title, so she can lose to Ronda Rousey at Survivor Series in a champion vs. champion match. I'm assuming she and Charlotte have a match together at Hell in a Cell or Evolution? PREDICTION: Becky Lynch wins the title. After doing an Iron Man match, I don't really get how this isn't a step backward. On its own as a singles match with nothing else to it, it should be good, but it's not something to be excited about, outside of the question of whether or not Dean Ambrose will turn heel on Seth Rollins. I'm 60/40, leaning toward Rollins winning the title back with Ambrose's help so that they can feud for the title later when Ambrose turns sometime around Survivor Series. However, I'm not going to be shocked at all if Ziggler retains and Ambrose still doesn't turn heel yet. PREDICTION: Seth Rollins wins the championship. I'm really surprised they added this to the card after completely ignoring the cruiserweights for the past few events, but I'm glad that it's going to get some time on the lineup, even if it goes on the pre-show. PREDICTION: I would think Cedric Alexander would retain, but I'm not so sure. Gulak certainly has a chance. I was really hoping this would be the WWE Championship match at WrestleMania next year, but having it here kind of kills that, sadly. However, on the bright side, at least we're getting the match, right? I think the outcome of this really depends on what happens with Bryan's contract status. If he signs, we could see him win, but I also think that might mean The Miz wins just to make this feud go longer. If he doesn't sign, I think The Miz definitely wins to give him the heat going into September, as it doesn't serve much of a purpose to have Bryan win, other than to give some kind of closure to the whole career with him beating his "pro mentor" from NXT. 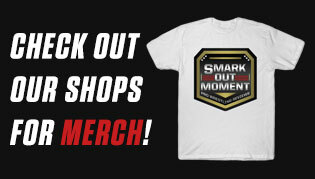 Wait...no Randy Orton? Surely they're going to change this and add him in there, right? No? Well, that's stupid, cause we're all just going to be waiting for him to pop up anyway. Let's just skip to the end. 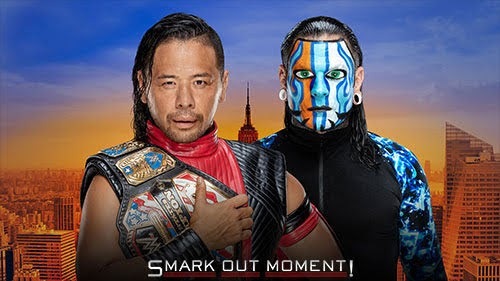 PREDICTION: Shinsuke Nakamura retains the title. I was kind of hoping SAnitY would get the shot, if not just for something different, but alas, that's not the case. 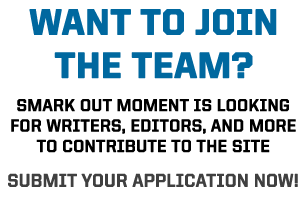 We've already seen this before, and I hope they bring something new to the table. If The New Day win the belts, I wouldn't be upset, that's for sure. PREDICTION: The Bludgeon Brothers retain the titles. This should be moved to the kickoff. It's not good enough for the main card over some of the other things on this show. Very glad this was added to the card. This was one of those things that I felt if WWE didn't do, they'd be purposely making a statement that they weren't invested in these four, or logic. It also makes sense that this is on the pre-show, rather than the main card. Thumbs up all around! PREDICTION: Almas and Vega win. So The Revival couldn't win a Triple Threat match, but they get a shot here? I don't know. I think The Revival are so much better than how they've been treated, and it's a shame to see them win the titles on the pre-show like this, if they do, but it's possibly even worse for them to lose to The B-Team and just not win them at all. PREDICTION: The B-Team retain the titles.